According to the Plant Hardiness Zone Map, May is the month in Tennessee to plant many types of plants. At Learning Zone, we have outside gardens at both our locations that are manned by the pre-K students. So in May, we will be exploring vegetables through the sensory experiences. Digging, planting seeds, watering, carrying tools and many other gardening tasks work children’s muscles and help improve motor skills. When seeds emerge into plants, a child’s sense of his own ability also blossoms. Current research shows that electronic devices (television, video games, cell phones) contribute to anxiety in children. But just 15 minutes in the garden can wash away the day’s stress. According to a study published in the American Journal of Public Health, children perform better mentally when they have access to green space. Gardening requires research, reasoning, initiation, planning and organization skills. Many elements of gardening trigger emotions in people. For example, flowers produce powerful positive emotions with immediate and long-term effects on mood and social behavior. On top of all these benefits, gardening is fun! Is Learning Zone the Best Day Care in Murfreesboro for Your Child? 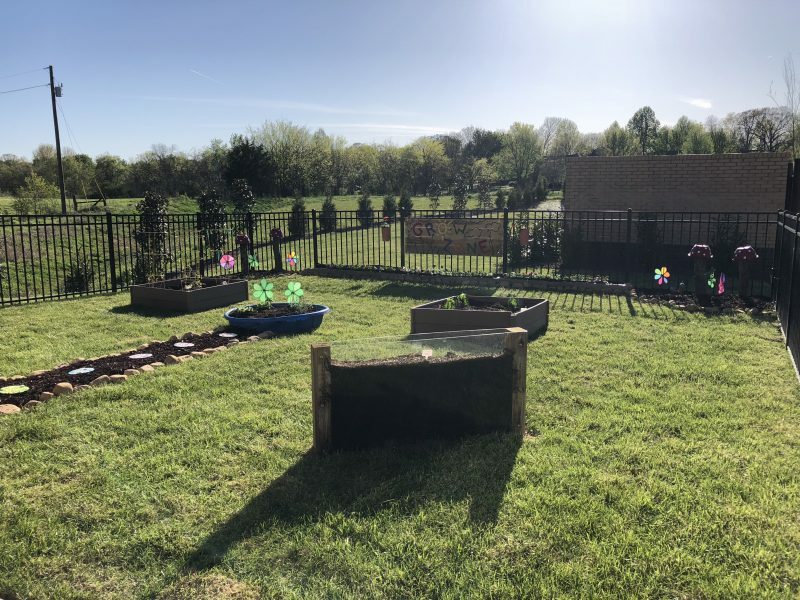 Our outdoor gardens are just one example of how we guide children through the learning process with a multitude of age appropriate lessons and super fun activities. So if you’re looking for the best preschools or day cares in Murfreesboro TN, you owe it to yourself to check out Learning Zone. For enrollment information and contact info please click on the links below.